Too bad its so far away. If it were within 500 miles I'd be all over it. Its ironic as I'm looking for a different daily driver and that would be perfect. I sure miss the 810 I used to have. Great car and quick too. Swap out the injection for some Z Therapy SU's and headers, that car would be sweet. The 2-door 810 is very rare just as the auction states. Most were 4-doors and its hard to find a 810 at all today. In 1981 they started calling them Nissan Maximas or Maxima/810. hehe, it looks odd to me with a big 6-cyl under the bonnet. Definitely Americanized at the front! Does yours look like a Buick at the front too Stephen???? I prefer the 200B front treatment. BTW I got bored and did a Torino job on your car :surprised I think it looks good. Mine has that same front as did all the 79 810s. This one appears to be missing some of the emblems and doesn't have the factory option right side power mirror. Those Maxima wheels would have to go! That 'Torino' roof makes the roof look to long imo. Here's a couple of more up to date pictures of mine showing the correct wheels and the front. 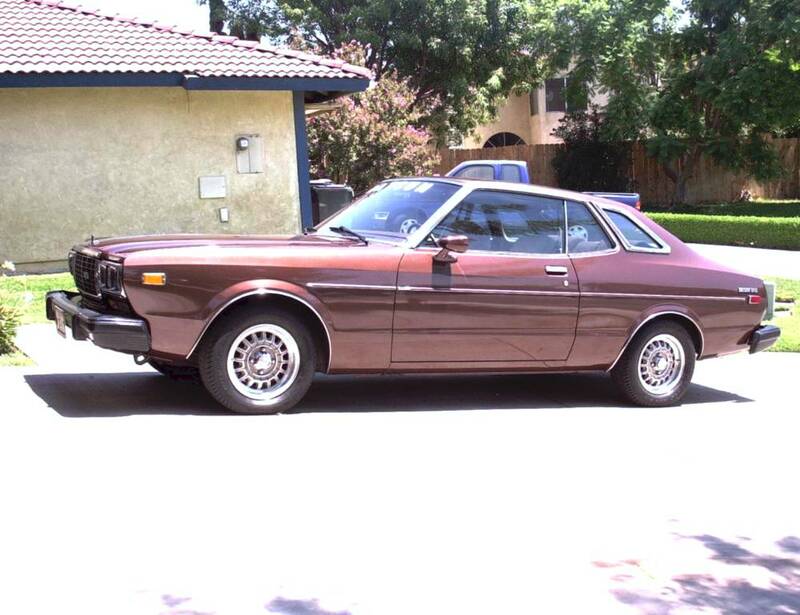 In 1981 they started calling them Nissan Maximas or Maxima/810. That would be 1980. The last production date for the 810 was 9/79. The 910 (Maxima) also began production that same month. The last few 810's (7/79-9/79) were called 1980 although there was no difference between it and the 1979. The first 910's (also 1980) were called 810(!) although they were the 4 door square bodied car. In 1981 they had all four names on them. 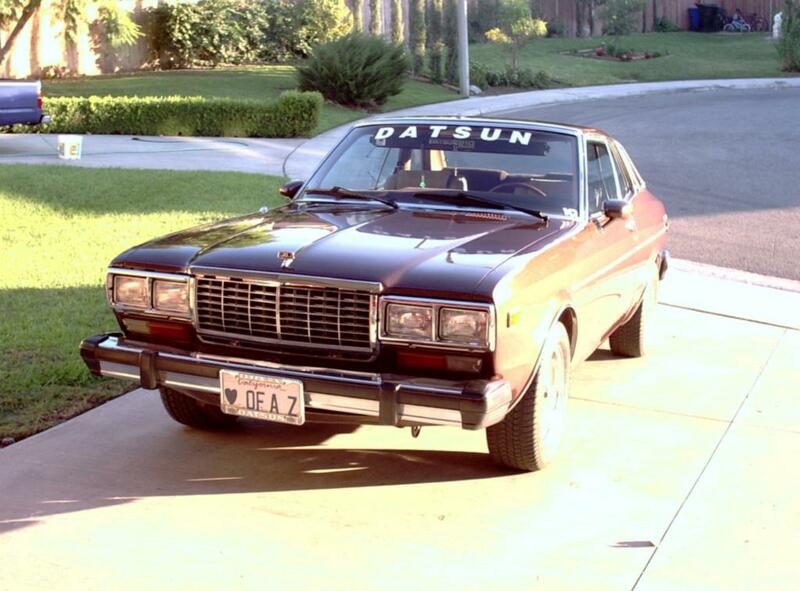 (Nissan/Datsun 810/Maxima). There are two 1980 Datsun full model line brochures. One showing the early 810 and another showing the later 810 (Maxima). I don't know if you noticed the VIN# or not but, it is xxxx249 and I was wondering what your production date was. I don't imagine that they were making a bunch of these and based on that hunch I guess the production date might be a few months off of yours? My cars production date is 10/78. His car is titled as a 78 but it has to be a 79 since these cars (2dr) were only built for the 79 model year with a few stragglers carrying over into the first two months of the 1980 model year. I would imagine his production date would be in 7/78. Incase anyone wanted to know this car has a gas engine, not a desiel. I emailed the seller yesterday asking about this. So this is the car that comes with the LD28 although it was probably more the 910 than 810 am I correct? Yes Gavin, the 910/Maxima had the diesel. The 810 in the US never did. Maybe other countries but I'm not sure on that. My 79 810 was a great car. L24 injected, five speed, cruise, power windows, power mirrors, velour interior, rear defroster, a/c. It was a plush version of a Z (kinda). Right...mostly. 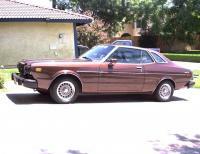 The '81-'84 Maxima is what the LD28 was in. I just went back through some of my notes to find this info. I could swear that some of the late 810s came with the LD28 but I must have been mistaken. Still only $177.50? There must be a few "sleeper" bidders waiting this one out? It's up to $255 as of 3:00PM PST with a shade under two days left. Just wait guys, they always shoot up at the end. Buy it Stephen, buy it!!! The wife won't mind. Good luck. I hope you get it. That car will grow on you. I originally purchased mine to be a daily driver. Next thing I knew, I was parts hunting (that's a challenge) doing body work, paint, etc. To update you the car is now back in Hughesville, Md. after a nice and pleasant drive home from just outside of Philadelphia. It is an August of 1978 production date. The spark plug wires were bought from a Nissan dealer as they are Sumitomo dated 1986! It will be receiving many hours of cleanup and minor maintenance to get it fit for the road. There is a sticker in the door which indicates the last oil change about 10k ago and roughly 2 years. The car has a few rust spots from living in the northeast; we were told the car originally came from Arizona and that might explain how it has managed to survive this long. The original spare is still in the trunk and looks as though it has never been on the ground. The chrome is in pretty good shape as well. Hope to have some pictures up pretty soon. Now, to find those parts? Bob, are you related to 240ztt? I notice that you are both from the same area and I thought he had won the auction. Anyway, whoever has it, you'll enjoy that car. 240ztt and I are good friends; we hope to get another friend (Datsunlvrs) to come over and help get this old girl in shape. 240ztt and I went in together on this car and you'll probably see Joe help me with posting the pics. The trouble is finding parts and a factory service manual at the moment. There is a '78 810 manual on ebay at the moment but, it won't have the coupe mentioned in the book. I will have to say that the car is very comfortable to drive (even in its current state) and with the automatic it makes the L24 spin a bit more than I am used to. The plan is to convert the car to a manual at some point so finding a pedal set will be difficult. I have been told that an S30 pedal set will not work? Oh, a collaboration! The 79 manual does show up occaisionally on ebay. That's how I got mine. I have seen a few 810s in the junkyards out here but only a couple of 2drs. Maybe I could find that pedal set. Everything else should be easy-clutch parts, flywheel. etc. Although it has been said the the 810/Maxima flywheel is lighter, the Z flywheel will work and shouldn't make any real noticeable difference. What other parts do you need?